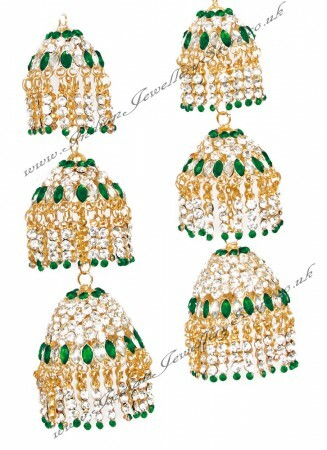 Pair of Kaleeras in medium gold colour (20K approx.) and bottle green. Set with diamante stones. 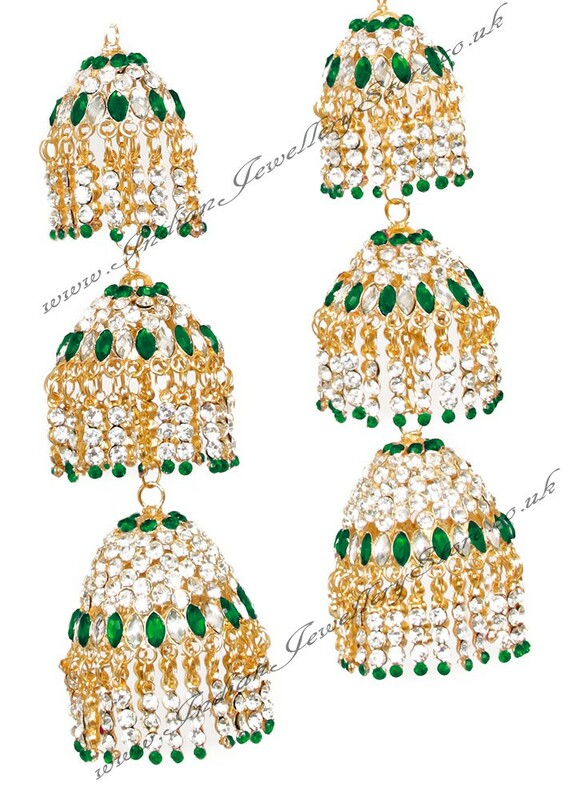 The kaleeras have no hanging beads giving it a clean and modern design. Approx. length: 17cm Approx. max width: 4.5cm Other colours available - enter the design NAME only (eg Jaina) in the Search box, to see all colours. Please take care not to rub our budget range kaleeras as this can cause the stones to fall. We advise you pack them flat and loose to store at home. Thus spare white stones will be provided.